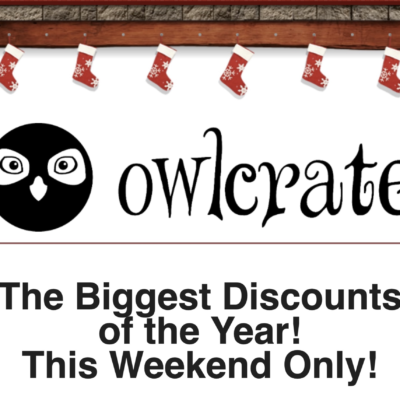 OwlCrate December 2018 Spoiler #1 & Coupon! ✨ This box is not yet available. It will be available to order around November 22nd. If you place an order before then, you’ll be ordering the November Rise From the Ashes box. Please be careful when ordering! 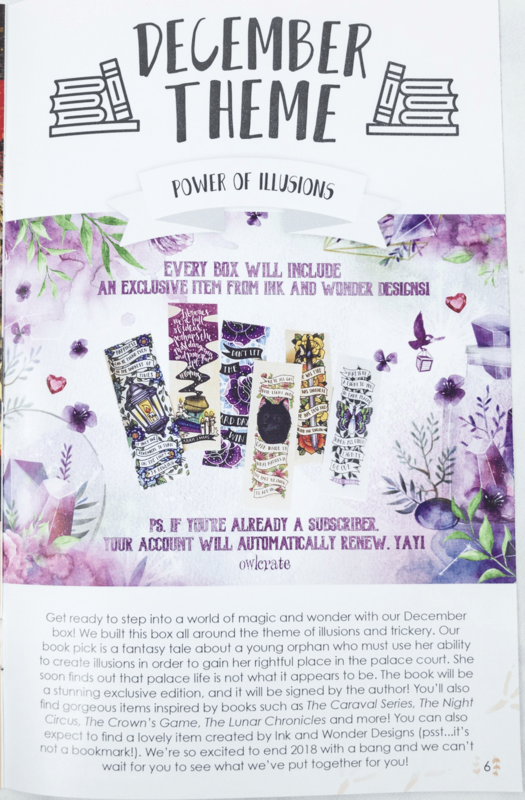 ✨ Get ready to step into a world of magic and wonder with our December box! 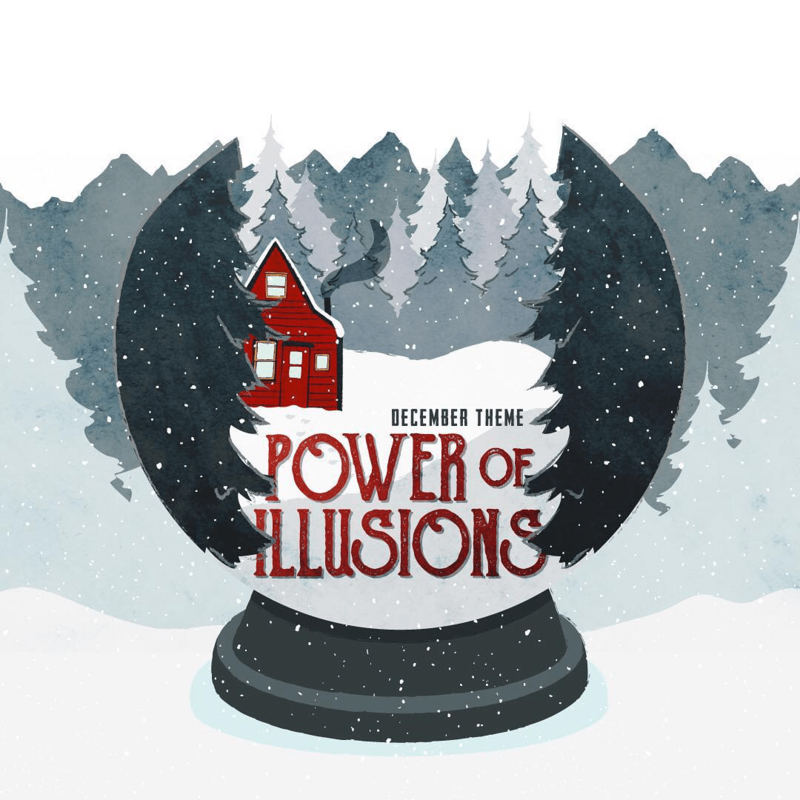 We built this box all around the theme of illusions and trickery. ✨ Our book pick is a fantasy tale about a young orphan who must use her ability to create illusions in order to gain her rightful place in the world. She soon finds out that things are not always what they appear to be. ✨ The book will be a stunning exclusive edition, and it will be signed by the author! 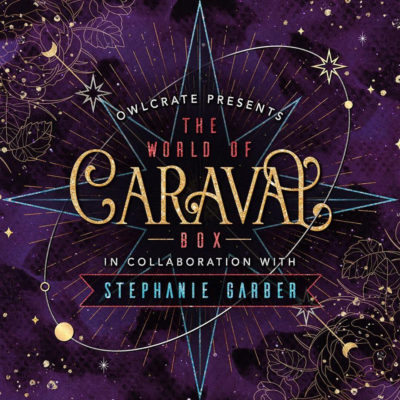 Seriously, our OwlCrate exclusive cover is one of our favourites we’ve ever done. We can’t wait for you to see it! 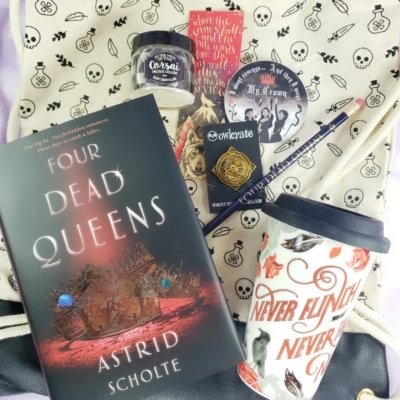 ✨ You’ll also find gorgeous items inspired by books such as The Caraval Series, The Night Circus, The Crown’s Game, The Lunar Chronicles and more! ✨ Many of you have been asking if we’ll be including a reading planner in this box (because you loved the one we sent last year) and we are happy to say that we are! 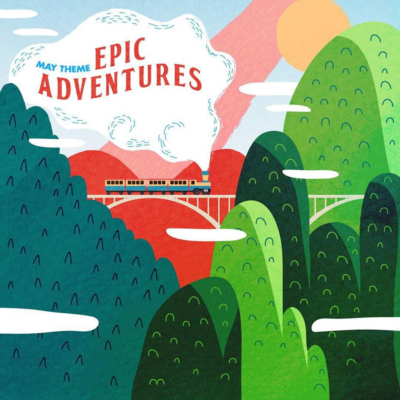 We’ve worked with our friends at Blue Star Press again to bring you an awesome updated planner. We took your feedback and created a bigger and better planner! ✨ We’re so excited to end 2018 with a bang and we can’t wait for you to see what we’ve put together for you! Every item has been designed beautifully and we think you’re going to be blown away by these goodies. More sneak peeks will be shared soon! An exclusive item from Ink & Wonder Designs!